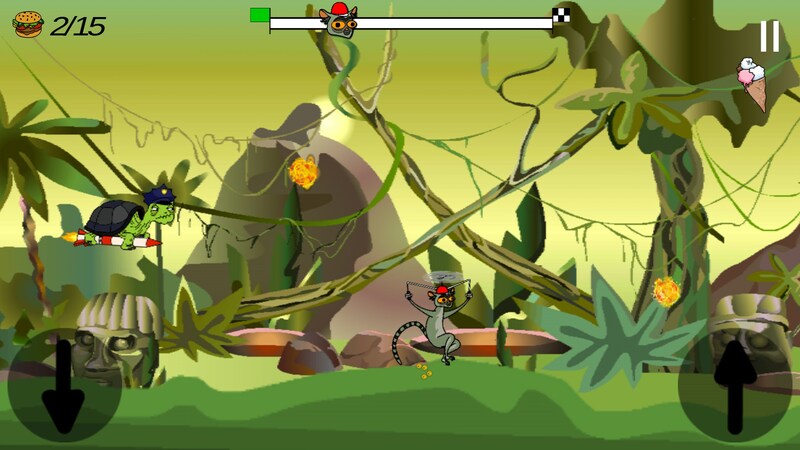 Lemurzin – Games for Android 2018 – Free download. Lemurzin – Feed the hungry lemur. 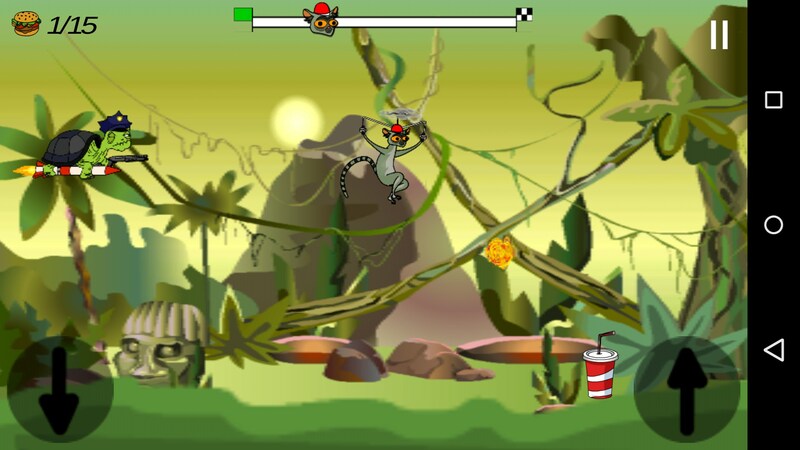 Lemurzin for Android is a bizarre game of being chased through the air. 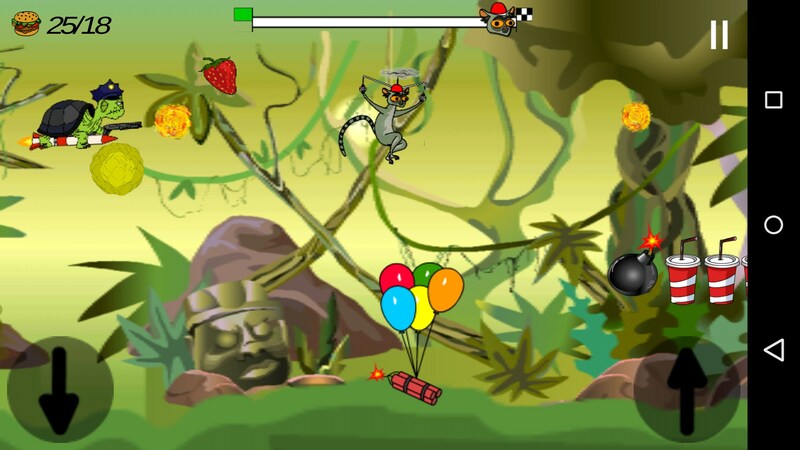 You play an orange-eyed lemur with a helicopter hat, being chased by a turtle cop flying on a rocket and shooting at you. I’m going to file this one under “weird games to play while drunk”. 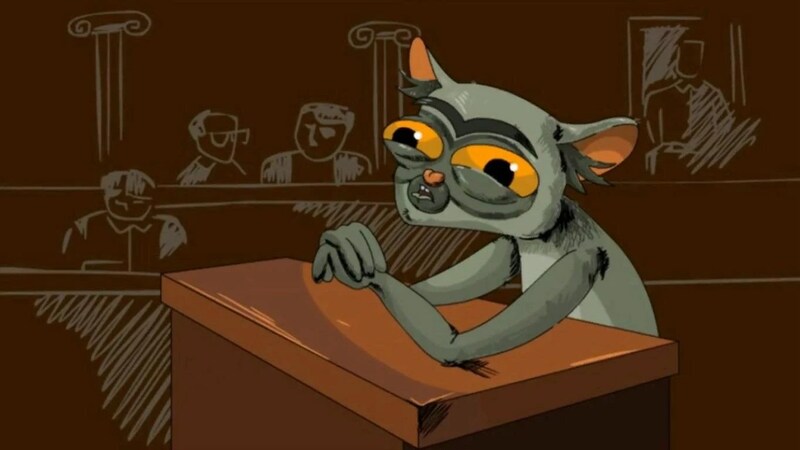 There’s an optional introduction cartoon you can watch, which might explain things a bit more, or might just raise more puzzlement; but for the time being at least, it’s only in Russian. The game takes a while too long to load, given how simple the game itself is. All you have to do is move up and down to avoid bullets and bombs, while collecting hamburgers, soda, chips, and ice cream. 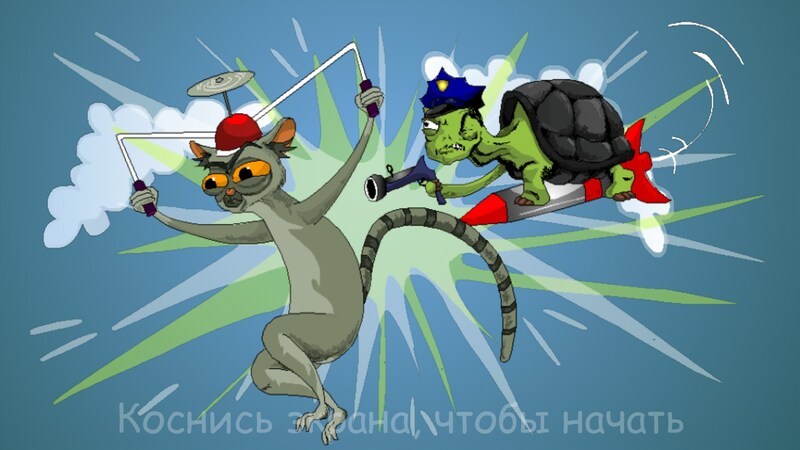 The turtle cop follows you up and down pretty closely, so you’ve got to watch for when he fires and move out of the way. 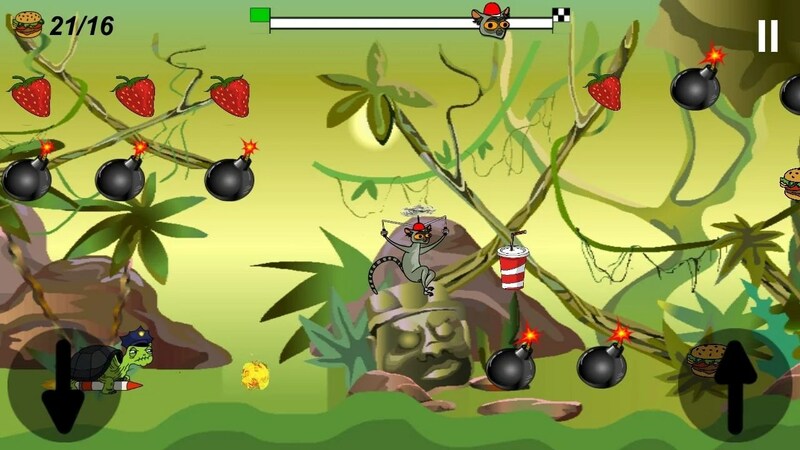 Each of the many levels are like this, but they get harder with more bombs, and apes hurling grenades, and such weirdness. 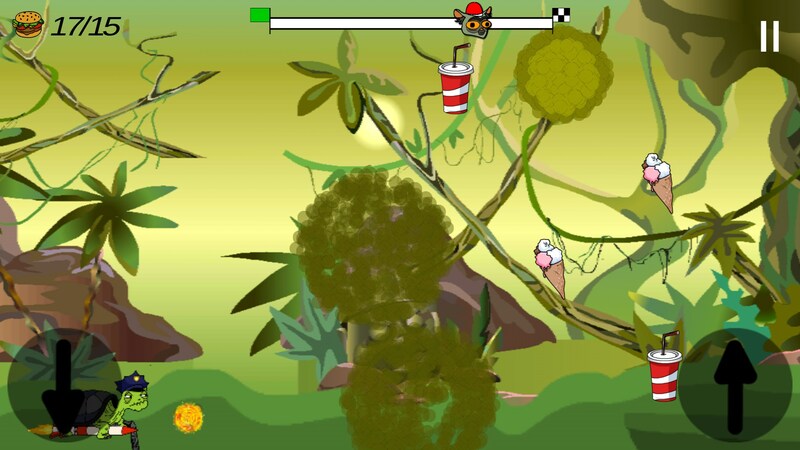 Lemurzin is fun enough to play, and if you’re into weird games, you won’t be disappointed. The long loading time at startup kills it for me though. 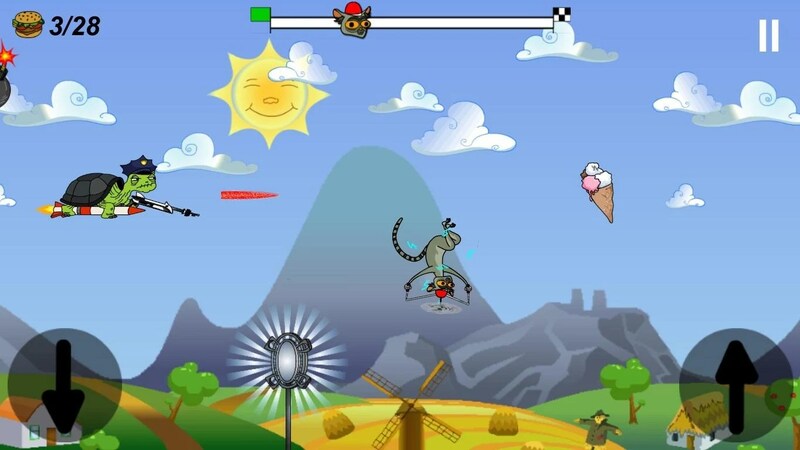 I want to play games like this for a few minutes here and there; so I just don’t have the patience. If you don’t speak any Russian, this is probably best played while inebriated, so you can make up whatever crazy story you can think of. Bear with me for this one because Lermuzin for Android is a game that left me scratching my head after playing through it. I can’t help but think it’s one giant inside joke that I’m just not getting. 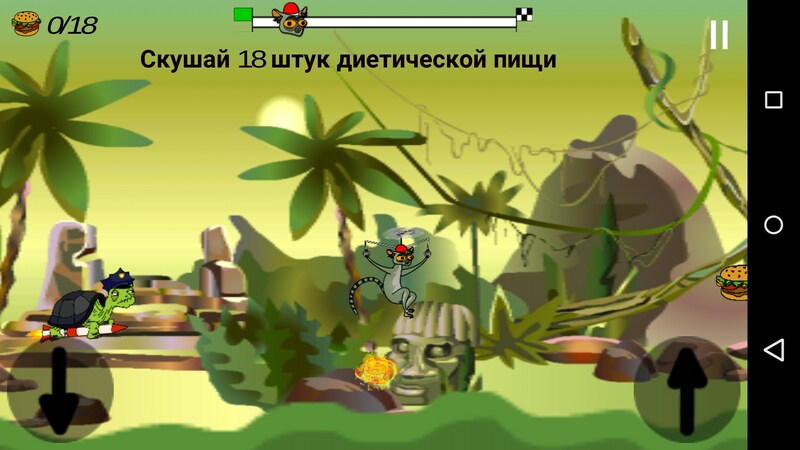 It’s a game made by the guys that created Kut Stupid, which is a Russian cartoon. As you might expect, the entire game is in Russian, thought that’s not important. 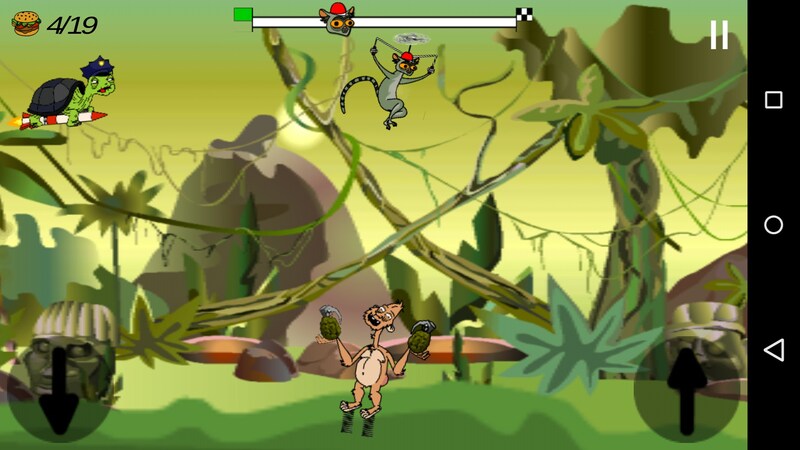 The whole game has you controlling a lemur with a jetpack strapped on its back. You’ve gotta collect hamburgers, soda, ice cream, and potatoes. 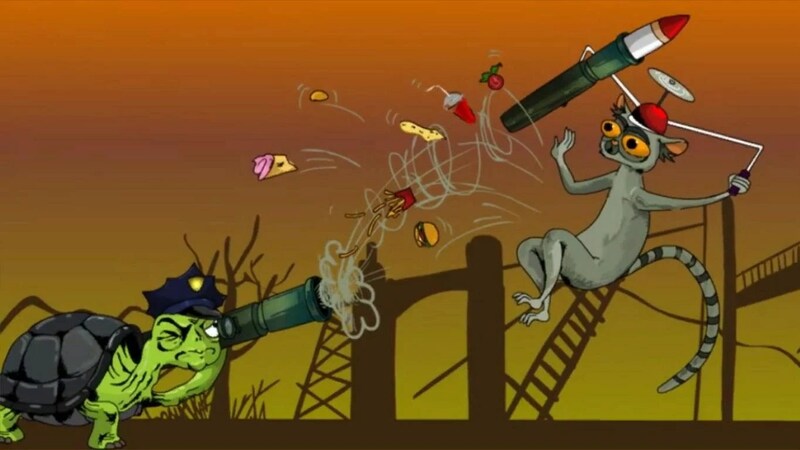 You’re also being chased by an angry turtle cop that’s trying to shoot you with a gun. The gameplay here is pretty loose. 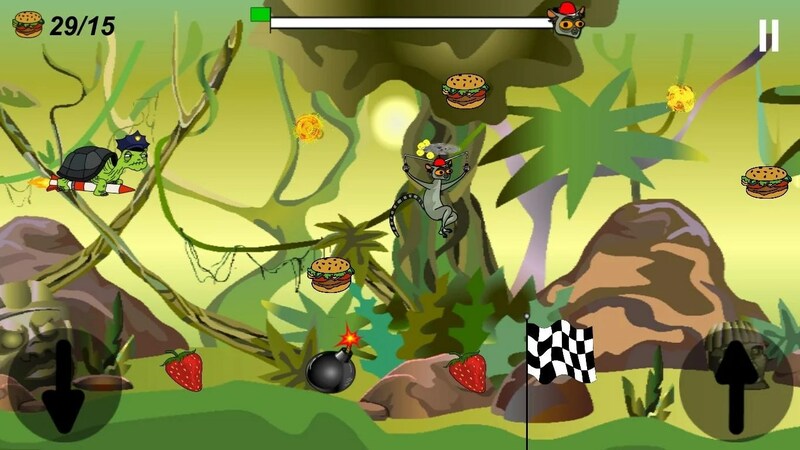 You’ve got an up and down button that will guide you either to the food or away from explosions and bullets. 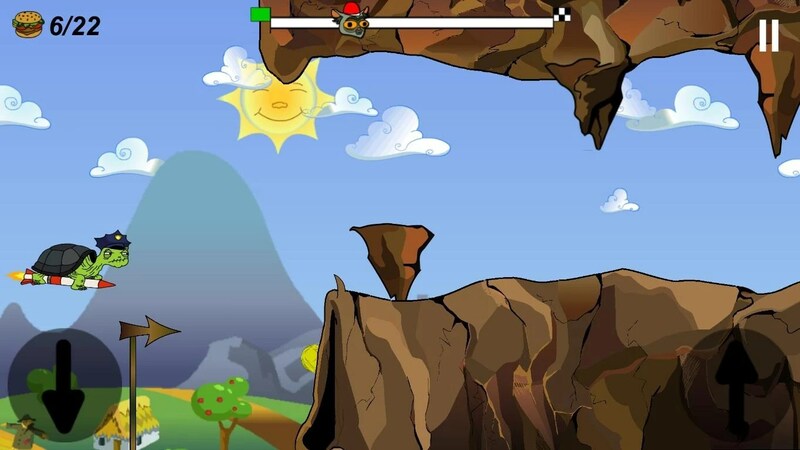 A lot of the gameplay ends up being trial and error because there are some paths you need to take as you’re flying through the air otherwise you’ll find yourself backed into a corner. I think there is a story line here that kind of links up with the cartoon, but the language barrier was definitely a brick wall trying to understand that. Suffice to say, the game is full of really goofy humor that some people might enjoy, but it’s definitely not for everyone. 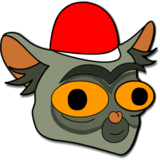 All in all Lemurzin will definitely be a hard sale for English speaking audiences because of the obvious language barrier. The game does actually have a bit of a difficulty curve to it and it’s not all laughs.